The UK’s leading door manufacturer, Hörmann, has won a new contract with Lidl. The supermarket giant is creating a new regional distribution centre in Avonmouth and Hörmann has been chosen as the preferred door supplier for its 120 loading bays. The new 600,000 square foot warehouse will be double the size of the existing warehouse in Weston-super-Mare and it is the fourth new Lidl warehouse to be announced in the last year. Hörmann will begin work at the site in August and the project is due to be completed in Spring 2018. Renowned for quality and innovation, Hörmann will provide the Avonmouth site with the very latest award-winning loading bay technology, including internal and external high speed doors, dock levellers, DSL & DSS Flap dock shelters, cushion dock seals, nylon dock bumpers and wheel guides. Speed and insulation have been key considerations throughout the project, so Hörmann’s SPU F42 sectional doors are the ideal option. The doors provide a good level of insulation and are fitted with a photocell safety guide as standard, which automatically stops the door from closing if an obstruction is sensed. High speed doors, including the HS7030 PU 42, V5030 SEL & V6030 SEL, will also be fitted to optimise the flow of traffic, improve room conditions and save energy. 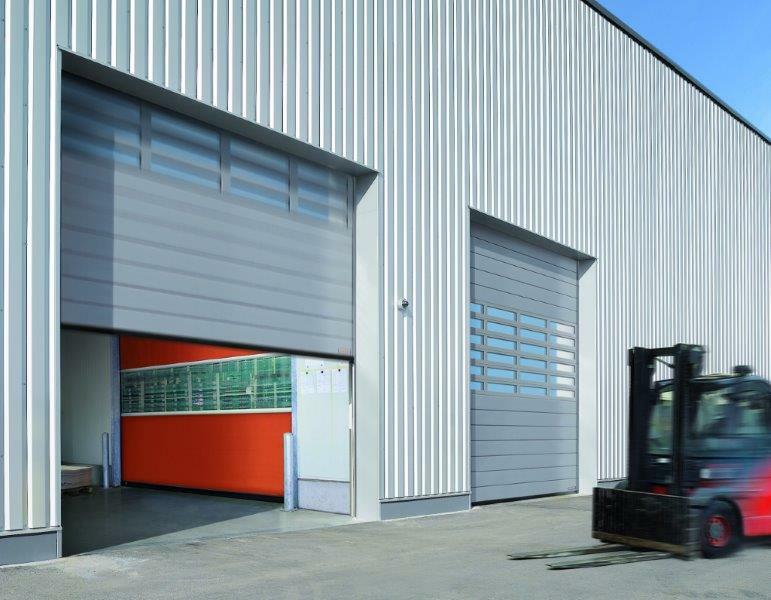 Ideal for large warehouses, the speed at which these doors operate minimises temperature fluctuations and maximises thermal efficiency. To ensure safety, Hörmann will also install dock levellers, DSL & DSS Flap dock shelters, cushion dock seals, nylon dock bumpers and wheel guides. Hörmann’s presence in the industrial door market has gone from strength to strength in recent years, and the new Lidl contract follows a string of successful projects with some of the UK’s biggest businesses and distributors, including Asda, Amazon and DP World. Its range of internal and external doors has been expanded to include a wider selection of designs, combining style with smart technology, such as new contactless control systems, to complement the 21st century workspace. Hörmann’s loading bay technology, in particular, has become more flexible to allow companies to adapt to changes brought about by e-commerce. The company has also received international recognition, including several ‘Design4Safety’ awards for the way in which its products have improved warehouse safety. In addition to the Lidl Avonmouth project, Hörmann also has a number of other large-scale projects on the horizon including the Covent Garden Flower Market and BAE, Salmesbury Aerospace.